I have a very important question to ask you… here goes… DO YOU KNOW YOUR DECOR STYLE? If you are like most people you sorta know what you like and what you don’t. You can tell me what you think your style is, but you probably can’t tell me with confidence and conviction! I think it’s important to know what styles you love and live with and what styles you aren’t fond of and perhaps are living with in spite of that fact! Let’s work together and try to get a good idea of our own personal decor style! 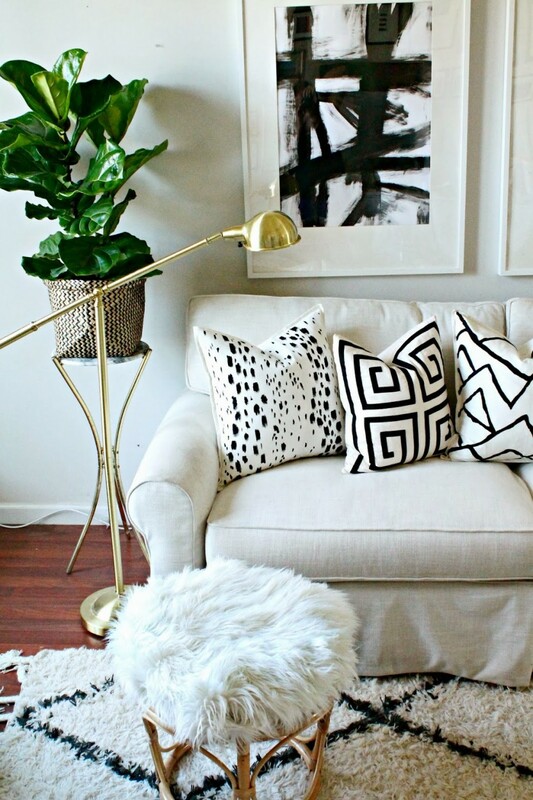 Knowing your decor style will help you create a home you will feel comfortable in and love! 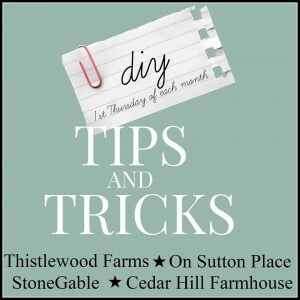 Make sure you visit all the other bloggers with great tips and tricks at the end of this post. My style is a TRADITIONAL. I love classic furnishings..those that stand the test of time. Beautiful fabrics…symmetry… comfort…a little formality… calm and orderly…understated… refined and welcoming. Don’t let the name “traditional” fool you. It does not mean staid or dated or too many patterns. That’s NOT traditional. Traditional is comfortable and well appointed and predictable in the best way possible. It is classic and the most welcoming. I bet most of us would classify our decor style as somewhat TRADITIONAL! The threads that ties my style together are certainly classic and traditional but my style runs deeper than that… as do most of our styles! 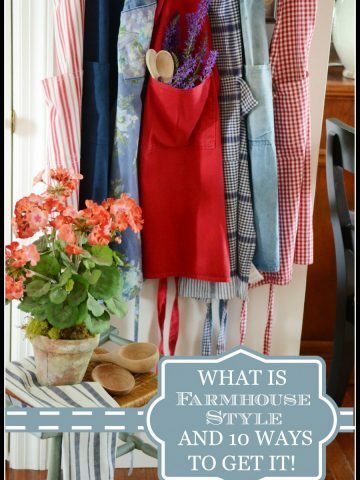 My style is also FARMHOUSE. Farmhouse was originally a moniker for a type of house and a geographical area and not so much a style. 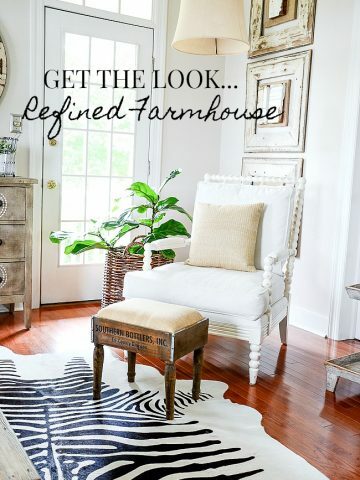 Lately, farmhouse has BECOME a style! I am very influenced by the gorgeous farmland that surrounds StoneGable and the style of our modern farmhouse. I lean towards the warmth of hardwood floors, planked walls, utilitarian accents, porches, living close to the earth, large kitchens and rockers on the front porch! Because I put an up-to-date spin on farmhouse style I like to call my style MODERN-FARMHOUSE LIVING. These two style, TRADITIONAL and MODERN-FARMHOUSE influence my decor style the most! INDUSTRIAL style often seeps into my farmhouse styling too! I like industrial metals and woods and mechanical details. But a little of this goes a long, long way. And if done right mixes wonderfully with Farmhouse style. To did a little deeper I also love American furnishing as opposed to French or British or any other national influence. And I love the “coziness” of COTTAGE decor. So my style is TRADITIONAL MODERN-AMERICAN-FARMHOUSE WITH A LITTLE INDUSTRIAL AND COTTAGE STYLING AROUND THE EDGES! SIGH! That’s a big mouthful… so I define it as AMERICAN FARMHOUSE LIVING! Here are some tips for learning about YOUR style and how to decorate to get the look you love! 1. YOUR present decor may not be YOUR style! The styles you love and are drawn to may not be sitting in your house right now! If you are like me, your home is a work in progress! You may be saving for a makeover, living with a piece you spent way too much money for because you can’t afford to get rid of it now, you don’t know how to make A STYLE change or… I could go on and on! To help you define what you really love and what you don’t, start by creating a couple of pinterest boards and label them WHAT I LOVE and WHAT I’LL PASS! Spend some time each day adding to the boards. ONLY PIN WHAT YOU REALLY REALLY TOTALLY LOVE AND WHAT YOU DROOL OVER on the What I Love board. And only pin THINGS THAT WOULD NOT BE CAUGHT DEAD IN YOUR HOUSE to the other. Do this for several weeks and see what you have. Find the common thread in each board. Spend time evaluating and write all your observations down. Yes, DO THIS! IT will give you an idea of what you would love to live with… and hence, your style!!!! 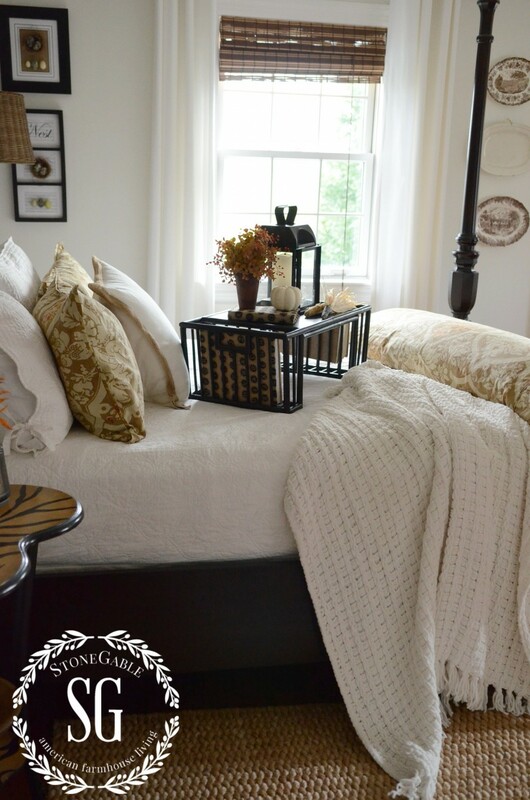 One of my very favorite Traditionally Styled homes from HOUSE BEAUTIFUL on my Pinterest board. Swoon! 2. CELEBRATE FURNISHING YOU HAVE THAT YOU LOVE! Just because your home might not be “perfect” doesn’t mean that you dislike everything! We can all get into that all-or-nothing pit! Focus on what you do have that you love and find joy and inspiration in those pieces! And don’t forget to think “upcycle”! A great coat of paint or a wonderful fabric can transform home decor! 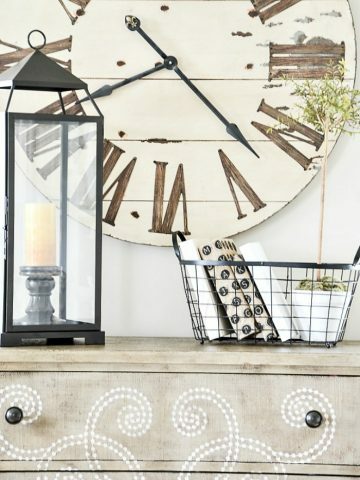 Look at your stand-the-test-of-time decor and update it! You will be amazed at the difference! 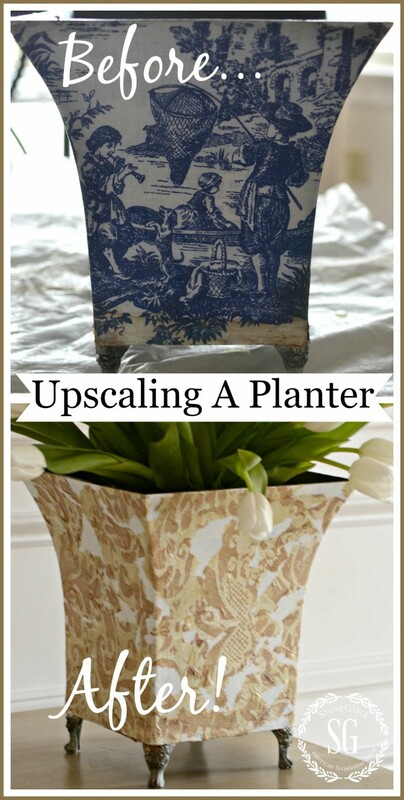 See how I updated my planter HERE! TRADITIONAL – see above. Think refined, familiar and comfortable. 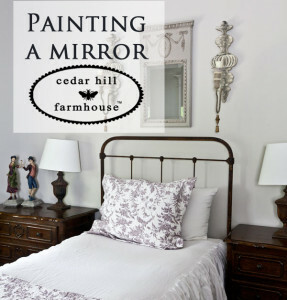 COUNTRY – traditional time-worn furnishings, warm, flea market, milk paint, ironstone, a feeling of comfort and home, NOT your mother’s or grandmother’s country! Think of small estate living. CONTEMPORARY -sleek, clean lines and subdued colors, pop of color added, low to the ground furnishings, few extras. Think urban living. FARMHOUSE-inspired by farmland and utility. Functional items, lots of galvanized metal, wood floors, white paneled walls, big kitchens, porches, rocking chairs. Think of StoneGable! MODERN- minimal furniture, stark, uncluttered, white with black accents. Think George Jetson! COASTAL- influence by the sea, airy rooms with light fabrics, whites and colors of the sea, nautical accents. Think beautiful homes on the ocean. COTTAGE- furnishings that show a little wear, botanical prints, wrought iron beds, quilts, cozy feel, fresh white paint on planked walls, open windows. Think sheer curtains wafting on a light breeze! INDUSTRIAL- raw unfinished look, lots of metal, exposed pipes and pipes in design, open shelving, unfinished look. Think warehouse. ECLECTIC- a mix of styles and periods that work together because of a common element like color. Think mix and match! Know what elements constitute decor styles…especially the decor you love! My style, like most of yours, has evolved! Decor goes out of style EVERY YEAR!!! Yes! Some things you bought last year are already “out”! BUT DON’T FEAR CHANGE!!! Some things you are holding on to right now might be the very things that are choking your style. Let go of furnishings and accents that are tired or very very out of style… IF YOU DON’T LIKE IT. And if you have any “mauve” decor… really? It’s time to get rid of it!!!!! And I only say this because I love you! Or at least upcycle it! And now on the other hand, don’t get rid of wonderful things you love and are happy to live with if its out of style. If you love it… WHO CARES!!! Here’s my decor secret… I choose classic big ticket items like sofas and chairs and beds in solid, neutral colors. These pieces will stand the test of time (or at least 10 years). I tend to buy trendy accent pieces that are very inexpensive to fill in my decor. They are easily replaced when I get tired of them. Right now I’m getting rid of my chevron accent pieces and replacing them with iron orbs and black and white stripes. Don’t fear change… SMARTLY embrace it! 5. LIVE WITH WHAT YOU LOVE!!!! The bottom line is… live with what you love no matter what styles and trends dictate! It’s your home and should be YOUR SYLE!!!! Live in it… and love it! Now, let’s visit my great blogging friends and get inspired by their decor tips and tricks!!!! Remember to pin this to your HOME or HOME DECOR Pinterest boards. You can follow me on Pinterest and see all the great things I’m finding to pin daily HERE. I took all of the style quizzes (except My Domaine which didn’t work) and they each said something different. The Lonny quiz is the only one that seemed the most like my style which is Traditional with a Twist. I can definitely work with that! Thanks for the tips & quiz links! Hi Joy, these quizzes are certainly not accurate. They are more for fun. I love white silver grey and glass…Lots of natural light..do not like clutter…love white flowers like hydrangeas white Tulips and white roses. I also like open but well balance symetrical spaces and aery as well. I think My style is clean and Contemporary…My floors are cherry color and my bathrooms are marble grey glass white tiles plus glass dru style chandeliers and also all my hardware is chrome fawcets appliances and fawcets. Great post! According to your definitions, I’m traditional/farmhouse/coastal/cottage. Hmmm. Somehow it all works together! Love your blog, your posts and especially your house!! Your home is lovely and your tips are great! Thanks! Always beautiful! How do you keep your floors so nice? Hi Karen, These floors get so much foot traffic! I use the Norwex system. Enjoyed reading this post! These are some pretty fantastic decor tips. Like you, my style is traditional too. 🙂 Thank you for sharing these ideas. Oh my, how I wish I could teleport you to South Africa to help me with our house. I love your style and it has a bit of me in everything you so cleverly and stylishly put together. I sometimes wish we lived in the USA as there are so many fantastic markets, and shops with SO MUCH to choose from! Thank you so much for the idea of pinning what we like and what we don’t. That will help me define my style. I will start right away! Great tips on I understanding your style. I also believe your style will change over the years. Maybe not from traditional to modern but perhaps from traditional to cottage or farmhouse. But it will change as you change. Oh my goodness. I love this post. I have always struggled to know what my actual style is. I thought I had to define it in one word. You have feed me up to makes sense out of my likes and style. Awesome! Thank you for sharing this your wealth of knowledge! i will take on your recommendation, it will be interesting to see if my taste match up to what I view as my decorating style! That’s an excellent suggestion. Love the suggestion of pinning things or rooms you just love. Starting that today. I define my style as french country farmhouse. My home is a tradional ranch that I originally decorated french country, but then, Fixer Upper came along, and Pinterest, with pins from Stone Gable, and I’m thinking “I need to lighten up”! Which is what I’ve been working on. Thank you for all your inspiration!! Cottage Ecletic….lol, what a mouthful but thank you for enlightening me to that fact…. Your home is gorgeous. I only recently realized my style is modern farmhouse which is how I found your blog. Thank you for sharing your gorgeous home and allowing us to “borrow” some of your wonderful decorating ideas. I love your home and décor style, and I have “borrowed” a lot of your décor ideas!! put some things like that up to hang things! Thank you for all of the great décor ideas!! Hi Jenny, That little rack came from Ikea! Very inexpensive! I know what I love but the houses available in my area and price range don’t match my style. Most people love light and I am no exception but all the windows mean very little wall space to hang my “collections “. New homes in a middle class budget seldom have great moldings, or beams and there is nothing but textured drywall in Texas homes. So everyone seems to decorate the house instead of the style they love. Any ideas about how to add old farmhouse to new construction? I also have a problem editing because I love all my pretties. Any ideas on displaying collections without looking like an antique store/junk shop? I also love shabby chic but white slip covered furniture isn’t practical with a messy husband and two big hairy dogs. So I tend to gravitate to my second love which is color and pattern and that can easily look like early garage sale. Suggestions? Thanks in advance. OH MY! That’s a lot to cover! Style is all about creativity and has very little if anything to do with whether or not we can afford a home. If you love crown molding and beams… add them! We did! As far as lots of collectibles why don’t you keep them all together in a cabinet or hutch. That way you can see them but they don’t end up looking like clutter. I totataly lived your blog and your hous is beautiful. My style is Traditional Romantic. I love teacups; lace; and different styles in each room. I love your site. You cover such a wonderful variety of subjects. I have been collecting items to change tablescapes and seasonal items. I can’t get enough. I work and am taking care of my fathers estate and helping my husband take care of his Mom and step Dad in assisted living and cleaning their home and have found so many wonderful things.I have inherited some beautiful silver ware and it needs a good polishing. Thank you for sharing your silver pieces. So inspiring. Some folks came by today and they couldn’t say enough about our beautiful home. WOW. I think they are my new best friends. I especially like when you share about the steps to creating a tablescape and finding your own style. Thank you and keep it coming. Your comment about mauve decor made me laugh out loud, Yvonne! Our home was built in 1990, and the first owner fell hard for the “country blue and mauve” craze. I’ve spent the last 15 years slowly purging those colors as time and finances permit. I’m talking ocean blue carpets, blue and pink floral wallpapers, rooms painted in several shades of blue and gray, and even BLUE kitchen counters. Blue has always been my favorite color, but enough already! I LOVE the look of Stone Gable. It’s just the right balance of neutrals, textures, and pops of color. Your photos are a feast for these baby-blue eyes! I went through a mauve and blue stage too! Laughing along with you JoAnn! I went through a touch of mauve (with pink & some black) decor back in the 80’s. ? However, I found some (forgotten brand new) greyed-down mauve pillowcases in the linen closet the other day and put those on with my chocolate brown sheets and, to my surprise, found the color combo looks great! Since then, I’ve seen that color combo on Houzz so am feeling good about my new discovery! It may sound weird but it looks quite sophisticated. I stumbled on your site while searching for a recipe for apple rosettes. I’m so glad I found you! I’ll be hovering some more. I just love what I’ve seen so far. I really enjoyed this article. I think one thing that a lot of people neglect to take into account is the style of the house. My personal preference for decorating is the traditional Swedish look of lots of light, blues and yellows, bleached wood floors, etc. I used to have that and loved it. Now, however, I live in an old colonial in South America. I had never really cared for Spanish colonial style, but that is what fits my house, inner courtyard and all. Because it fits the house so well, the style itself has grown on me. Weird, huh? In Canada, the term “Transitional” is often used in our decor magazines which is Traditional but a more clean & pared-down look. Re location, or where you live – taking that into consideration is MOST important & I’m glad some of your readers are bringing up this subject as it’s one of my pet peeves. For example, decorating your home to look as though you live in Florida or out in the Canadian Rockies would look plain ridiculous in a house in downtown Toronto! The “inner” has to relate to the “outer surroundings”” in my opinion. 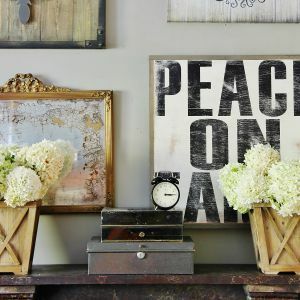 While I like many of the current decor trends (such as wooden signs, antlers, etc.) if I see an item becoming too popular, I avoid buying it. A home is much more interesting when it isn’t a carbon copy. Welcome to the StoneGable family, Lily-Anne … beautiful name! I firmly know my style. It is formal Swedish Gustavian. Luscious enough to eat it up with a spoon. Can’t get enough. This was so much fun. I took all the style quizzes, Classic with a touch of county and traditional with a twist seemed to be the repeating pattern. Thank you so much for the great insight. I like changing things up and re-purposing items in my home. I always, always want my home to feel like a hug when I walk in the door. Good for you Judy!!! LOVE your attitude towards decor! No matter what you call your style, it’s cozy and elegant! Enjoyed the blog as always. I like a lot of different styles but when it comes to my own home I am mostly traditional. I do like to add a few non traditional touches. I love your home and your style. Gorgeous, tranquil, subtle hued header, dear friend!!! When we built the “dream home” we lived in a rural small town and I l o v e d Country decor!!! However; with our move to this side of the Prairie, we are suburbanites!!! It took me several years to edit my decor from Country to Traditional!!! Once I got through that “pain taking tasks”, it was as if a heaviness had been lifted from our home!!! The “big ticket” item, our sofa, was with us for nine years in this home, I so~o~o agree with choose wisely!!! I adore your home and absolutely love your transformation of the Dining Room!!! Your description of your personal style, “TRADITIONAL MODERN-AMERICAN-FARMHOUSE WITH A LITTLE INDUSTRIAL AND COTTAGE STYLING AROUND THE EDGES! SIGH! That’s a big mouthful… so I define it as AMERICAN FARMHOUSE LIVING” made me chuckle!!! Keep the amazing tips and tutorials coming!!! I did my condo walls to look like a log cabin and the fireplace to look like fieldstone. I also did the walls in my very small dining room in log and painted the closet to look like a path through the trees to a lake at the foot of mountains. I change accessories with the seasons…coastal for summer…fall colors in autumn…Christmas décor for the holidays,..cozy cabin for winter with plaids and then spring colors with flowers and birds. In between, I sometimes do my décor western/horses for a switch from my usual. All in all, would my decorating style be Rustic-Seasonal-Early Attic? 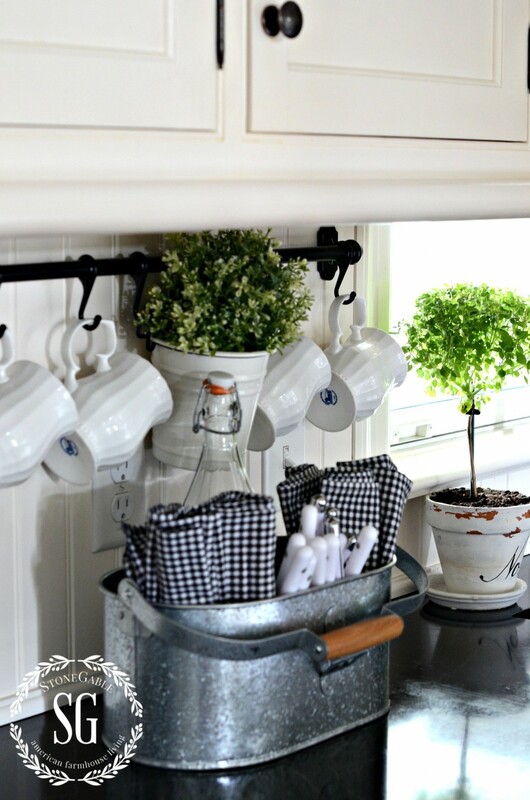 I would love to know where you bought those white coffee mugs on the hooks in the kitchen? I’m looking for some just like that. Hi Susan, The mugs came from HomeGoods several year ago. Hi Nancy, the bar with the hooks and the little bucket with the plant came from Ikea. LOVE it! I Love your updated site, it is just so you. Taking the quizzes was fun. To sum up what my style is Farmhouse / French country Farmhouse with an edge of Rustic/with touches of Boho. /a little Cottage put in . Thanks so much for the Hard Refresh advice, worked like a charm! I love your new StoneGable look complete with bird’s nest! I was wondering… is that is a font or is it your handwriting? As far as my style goes, I would guess I’d classify it as Eclectic. I tend to choose farmhouse furniture although I have no porches or wood flooring much to my dismay 🙁 … in my next life perhaps? I’m very fond of some cottage touches as well as some galvanized items …they seem to shout out and hitch a ride home with me. Contemporary and Modern styles do not seem to speak to me at all. I can admire those looks in other people’s homes or designer magazines, however I would not be comfortable living with either of those styles. Our bedroom has a traditional oak “set” that we purchased about 25 years ago. I was sooooo excited at the time to finally have something NEW (rather than the 20 years we spent with a hand-me-down mish-mash of bedroom furnishings) and we both fell in love with this set on the showroom floor. Thank goodness I loved the choice we made for a lot of years, but for the last few years I’ve thought how cool it would look modified and painted white with chalk paint, add some bun feet to the night tables and remove the drawers from one of them and make it into a bookcase. My husband will not hear of it though!!! Thank you for your post Yvonne, as it has given me much food for thought! So glad the hard refresh worked for you! Well I’m just loving your blog( just found it). Question: where do you store all your stuff – dishes, decor items, etc.? Of course it looks like your home is large so you probably have plenty of room, I live in a small house and find it difficult to find room for all the things I love. It’s amazing to see how so many of us enjoy the same things. Hi Chris! Welcome to the StoneGable family! I do have a rather large house with lots of storage and a HUGE basement. So things are easy to stash away… sometimes too easy. 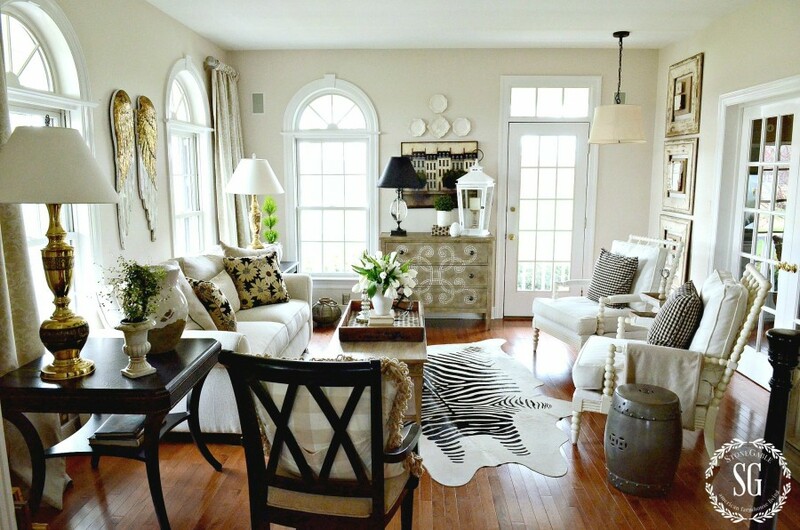 My style is… farmhouse/country/cottage… and maybe even coastal, though not with the seashells/beachy motif. I just really like the open airy feel and the colors of coastal decor. 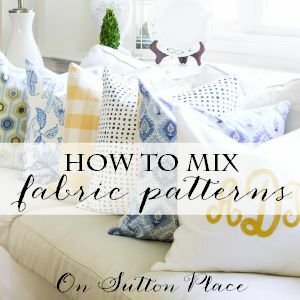 When I look through my home decor Pinterest boards (one for each room) I see lots of flowing fabric, light colors, and country/farm pieces. Those are not necessarily reflected in my actual home, though I’m working on it. It is definitely a work in progress. I’ve even picked up a couple of sets of airy curtains (at a bargain price) that I don’t know yet where to use, but I just know that I’d like to incorporate them somewhere. My bedroom is my favorite room in my house. I inherited my grandparents’ antique bedroom suite (bed frame, dresser, chest-of-drawers in a farmhouse style) and absolutely love it. My mother and I made an Irish chain quilt in light colors, which is perfect. I’m thinking lace curtains in there. I need to try out the ones I’ve bought to see how they “feel” with the rest of the decor. This was a really helpful post. Thanks for sharing! Thank you that was very enlightening. I am taking this decorating of my house slow,because i want to do it right. I have retired and every other year take a trip to see something here or far. I study to see what bloggers do and what i like and what i have bought and it has been a journey. Thank for this post i love your kitchen. I was only able to skim thru this, this morning… once you showed us how to actually long onto your “redesigned” site. thank you for that!! I can’t wait to have time to go thru this posting word for word… it looks like you’ve given us some awesome advice and ideas. Can’t wait to grab my coffee and enjoy this post. Love, love, love your site Yvonne! I really love the new look and your advice is great. Now I believe that the junk *uh* furniture we have is not my style. The newer stuff is okay but some of the early oak — that I never wanted — is driving me crazy. Well, I was a little crazy to begin with but I find it hard to decorate when I don’t like the stuff. *Sigh* I’ll have to figure something out. I think that is why I’m so happy in my kitchen — I’m surrounded by things I like. Thank you for your sage advice. I finally painted my “early oak” black and love it. My home is a country style home with porches on front and back. Inside, my home is traditional with some country. (I live in AR) I love color, and because my wood flooring is in a natural finish, all neutral would be boring. I just recently replaced my sofa and breakfast table/chairs. My old sofa, was a cranberry color with a large pattern. Loved it when I got it, but I was ready for a more neutral color. I loved all the white sofas in magazines, but decided that would not be practical for us. I bought a wheat colored one that is neutral, yet not white. My new breakfast table is black….looks a lot like yours!…..replacing a Tell City oak table and chairs that my husband was v.e.r.y reluctant to replace!! I am about to have my white-washed kitchen cabinets (which have yellowed some) painted white! Your style is closer to mine than any that I have seen! 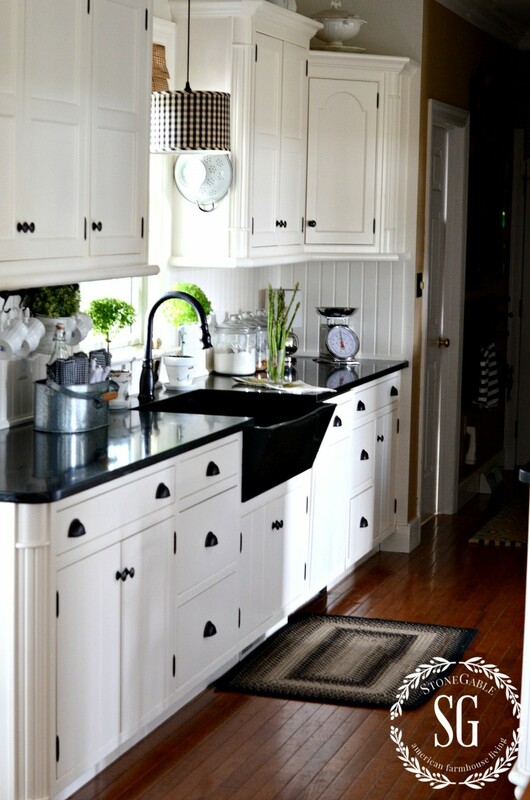 I love your home/blog! Funny quizzes! It seems I am… boho/country…rustic romantic…”stripes” which is apparently some sort of laid back traditional… coastal… polished casual… and ‘totally’ rustic. ROTFLOL So many ‘answers’ should have been “none of the above”. Traditional or rustic or coastal… NO WAY. Eclectic traveler craftsman would be it. Very funny! I thought some of my readers would get a kick out of those quizzes! Such a beautiful space, and so many great tips! Love it all!! Great post and so much inspiration. So glad you changed out your chevron patterned pieces…now hopefully all of your followers will! I’ve abhorred that fad from day one! Hey, Teddee! Each to their own!!! Remember… use what YOU love!. But yes, I’m getting a little tired of it! Hey Yvonne! First of all I love your new blog design. Very fresh and just beautiful. Next, I think this post says it all about finding your own personal style and letting it evolve. Great advice for anyone who wants to love the home they have! I’m loving the new look you have, Yvonne! Beautiful. My home has several styles mixed up, and I love it that way! I lean towards traditional, as you do. That’s why I’m so drawn to your home, but love the touches of farmhouse style, cottage, and maybe even some eceletic or contemporary thrown in here and there! I would say my kitchen is more French Country than anything, but have started more farmhouse style as far as decorations because I adore your kitchen! We do have one room upstairs that is all Texas because of where we live, leather furniture, rustic colors and decorations. It’s fun to mix and match your styles, and it’s certainly OK to have different styles in the same home. As long as we love it and we’re comfortable with it. It’s what makes it a home. Have a fabulous day! Very well said Karen. If I lived in Texas I’d decorate my whole home in a rustic ranch style. LOVE IT! My tastes have definitely changed over the years. Now I’m in my 50’s I want more relaxing surroundings! Also with the advent of the Internet and Pinterest etc I have access to all the wonderful ideas of others and I do feel that I’ve been influenced for the better. Ok here is my good problem but I don’t know best way to start. I have been a private chef for many years and lived on beautiful estate. even though the houses were partly furnished I always brought some of mine in. I have collected antiques for years in my travels. Now I have a new position in Vermont and I can finally start to furnish my own private quarters. I have two warehouse full. everything from silver to Toile linens for my bedrooms. I don’t know where to start its like having my own store. I love all I have but when I open a box Voila something wonderful I haven’t seen in years. My children are grown and have given them a lot. How do you do this without making it look junky. Help! No I am not a hoarder. Go through every last thing! I’d sell what I no longer need or want and then decorate with the rest. Sounds like you have some very valuable pieces, so if I were you, I’d hire a reputable decorator to help me sort and decorate. Not because you can’t do it… but because it sound like you have a huge investment in furnishings and you will want to get this right. AND this could be an overwhelming task… two warehouses is way to big for one person! I very seldom advise for outside decor help, but in your case I think it would be wise. I’d love to work through your warehouses with you! What fun! 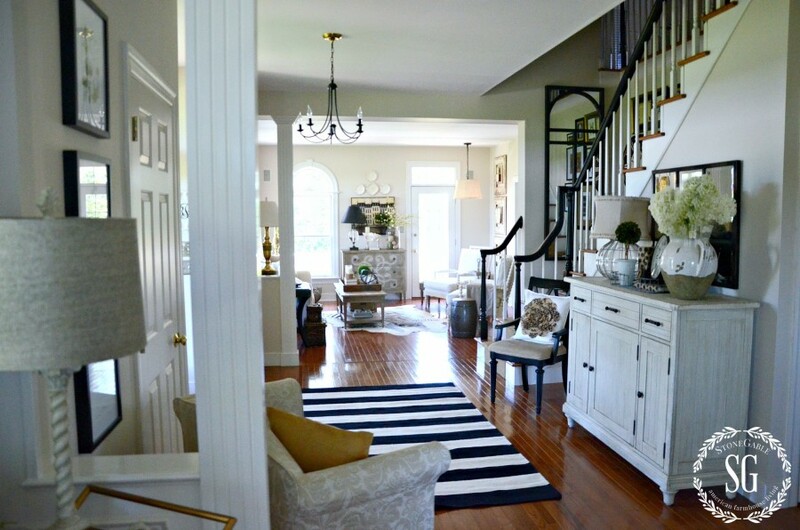 Your home definitely epitomizes American Farmhouse Style….Classic, casual yet elegant and some fun of the industrial thrown in….The perfect style with what surrounds beautiful StoneGable….and the style that says YOU!…Great post Yvonne! Coming from you my dear decorator friend is such a compliment. My head is huge after reading this!!! Wwe are getting ready to build a sunroom facing west, no neighbors, private, lots of trees and wood line about 75′ back. Love the view. I want lots of long, low window to enjoy the view and a solid wall for a tv on one side and built in bookcase or beautiful buffet piece on the other. Any ideas? I am pretty much traditional. Love your look. Put your feet up, read a good book. A room that invites you in. We want an electric fireplace that will add extra heat to the room. Can you help me out, point me in the right direction, give me ideas. I don’t know the best size, that’s the hardest to decide right now. I’m guessing a square room will give me more options to move furniture around which I can’t do now. I have a small ranch home, single floor. We are finishing the hall bath and will have completely renovated our house inside and out except the front porch, concrete (can’t decide) and taking down the deck to add the sunroom off the dining room where we access it now. Our home is 28 years old but doesn’t look it. Many thanks if you can help. Absolutely love your blog and use many ideas. SUZANNE, Please email me about this. I can guide you better if we talk in person.